Developed in France for use in perfumes and essential oils, this cultivar was selected from a cross between L. angustifolia and L. latifolia. 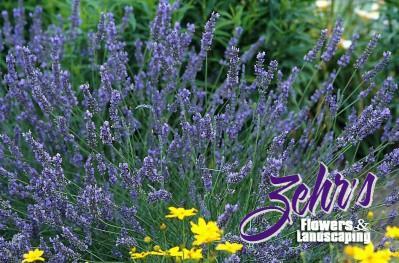 Blooming mid-summer through early fall, it has long flower stems that sport large, violet-blue flowers with a sweet fragrance. Dried flowers can be used in potpourris and flower arrangements, or just enjoy the fragrance in your garden.